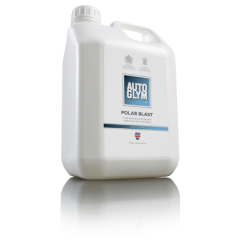 Introducing the new Polar Blast Snow Foam from Autoglym, available in a 2.5 litre size which can be applied using a pressure washer or a foam gun if you prefer. This reduces the risk of scratches and swirl marks caused by sponges. The rich formulation covers the vehicle in a blanket of foam designed to cling to the paintwork, gently removing dirt causing no damage. 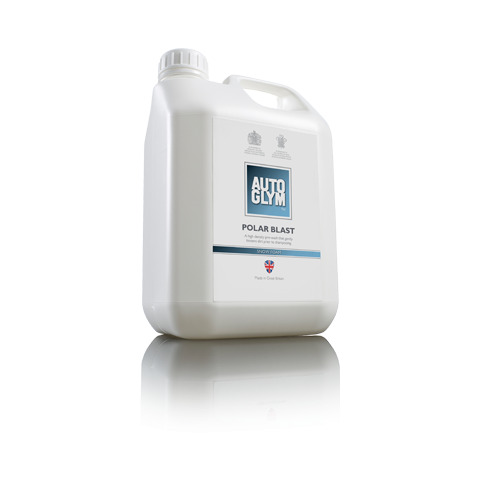 The Polar Blast Snow Foam is pH neutral therefore, will not remove any existing layers of polish or wax. 1. Check the bodywork and wheels are cool to the touch and away from direct sunlight. 2. Dilute the Polar Blast with water. This product can be used at various dilutions depending on the density of desired foam. As a recommendation; 100ml Product to 500ml water. 3. 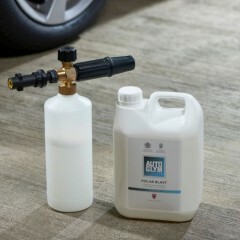 Spray Polar Blast on to the vehicle- start at the bottom, ensure all exterior surfaces are covered , safe to use on glass and wheels. 4. Leave up to 10 minutes for the foam to work its magic and loosen the dirt. 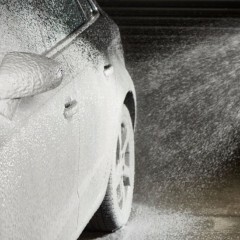 Do not allow too much time as the foam will dry on the vehicle. 5. Thoroughly rinse- again start from the bottom.